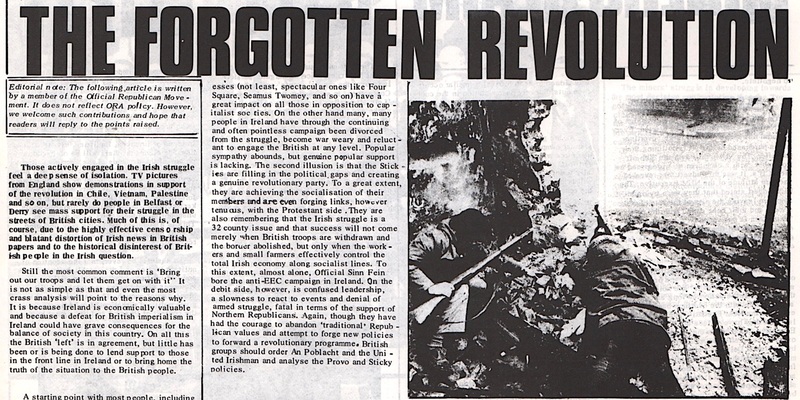 The January 1974 issue of the British Libertarian Struggle included a guest article by Briege McKeown, a member of the Official Republican Movement (the collective name for Official Sinn Fein, the Official IRA and their support group in Britain, Clann na hEireann). 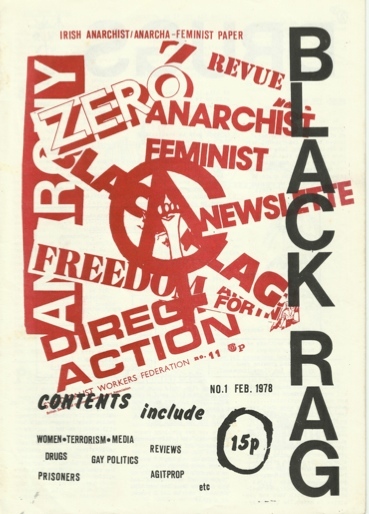 This monthly paper was published by the Organisation of Revolutionary Anarchists (which later renamed itself the Anarchist Workers Association). ORA was part of the ‘platformist’ current within anarchism. On the letters page we find someone who signs him/herself simply as ‘R’ expressing a hope “that ORA soon changes its’ policy to one of solidarity with the Provisional IRA’s military struggle”. As an example of the Provos’ left wing credentials the anonymous correspondent writes “Gerry O’Hare, formerly part of the Provo leadership and now in prison in the South, is a left-wing socialist”. Interestingly, it wasn’t long before O’Hare decommissioned himself from the ranks of the Provos and went off to join Fianna Fail. 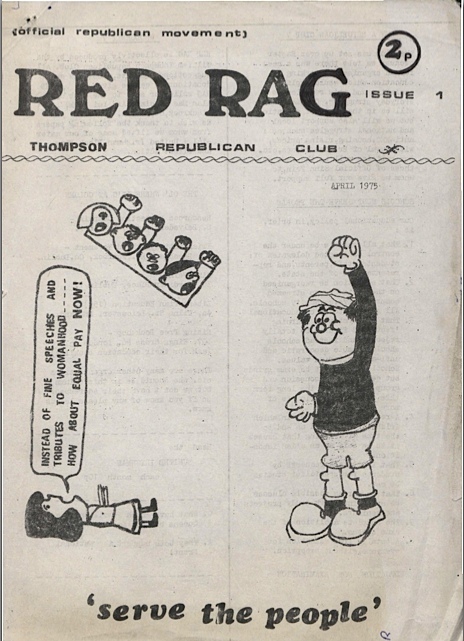 This little magazine was published by the William Thompson Republican Club, which was formed by two members of the Official Republican Movement (i.e. Official Sinn Fein/Workers Party and Official IRA) who were school students at Newpark Comprehensive School in south Dublin. 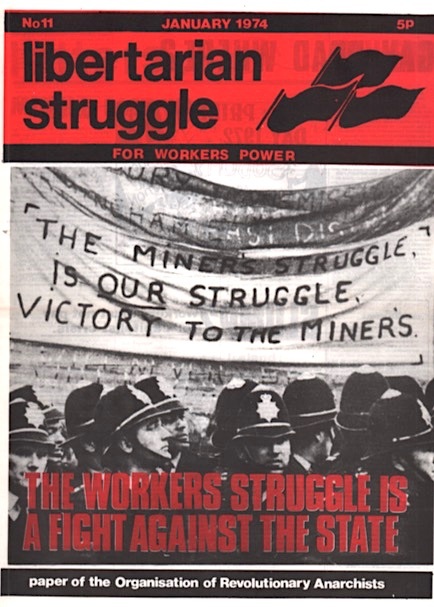 It is interesting that as late as 1975 an obviously anarchist influenced publication could come from within a movement which was being increasingly dominated by Stalinism. We produced about 100 copies of this on a Gestetner duplicating machine and had no problem selling them in a school of about 550 students. Although the pro-Soviet Union crowd didn’t like it – at one internal OSF meeting Eoin O Murchu denounced it as ultra leftist for opposing exam-based education – we were not censured or told to stop by the leadership. However a second issue never appeared as both of us finished school that summer, and none of the sympathisers we drew to the Club actually joined Official Sinn Fein. It was also shortly afterwards that I resigned from the Movement because of its decision to regard the Soviet Bloc countries as “actually existing socialism” and to describe the 1956 Hungarian uprising as fascist. From the British Anarchy magazine in the early 1970s (this issue is Second Series, Vol. 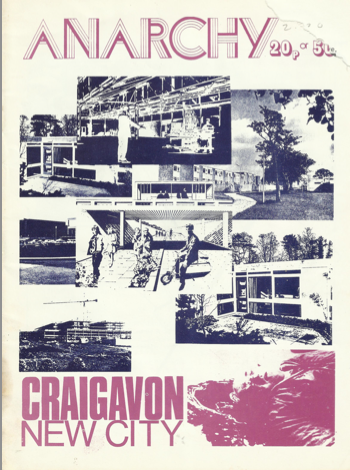 10, No.1 but undated), an article by Roger Willis about Craigavon New Town. This was to incorporate Portadown and Lurgan in an urban centre of the future with new houses, lots of jobs and great facilities. Needless to say, it didn’t turn out like that. Anarchist Worker, published by the Anarchist Workers Alliance in the late 1970s/early 1980s, can be regarded as one of the forerunners of the Workers Solidarity Movement. The AWA existed in Belfast and Dublin but was always more of an idea than a reality, with membership never going into double figures. The print run was about 750 (ranging from 500 to 1,500). As befits a first issue, we get a page about the Anarchist Workers Alliance and why it was formed. 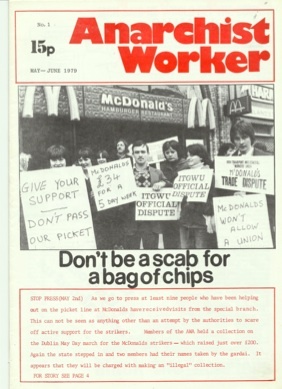 Other articles look at the McDonalds strike for union recognition, the PAYE tax protests, the post office strike, the H-Block & Armagh prison protests, and the six county Payment for Debt Act. Longer pieces look at why the CIE craft workers committee collapsed, and the law that legalised contraceptives in the 26 counties. That was Haughey’s ‘Irish solution to an Irish problem’ which required a doctor’s prescription to buy a condom. Published from Belfast, with a few supporters in Dublin, it’s aim was to encourage “organising in small affinity (friendship) groups which cooperate in a non-hierarchical way and support individuals or small groups involved in direct action”. Its politics were feminist and there was a concentration on “oppressions” (prison conditions, drug laws, anti-gay laws). 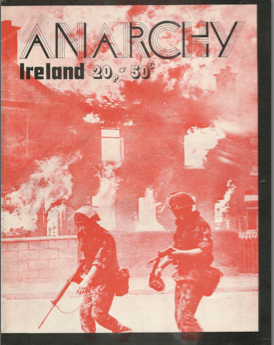 There was never a second issue but some of those involved joined the Belfast Anarchist Collective. Contents include the (successful) squatting of the Mansion House by families from Dublin’s East Wall unable to get Corporation housing, a strongly secular approach to education, and an emphatic pro-union stance. There is also a double page spread on Anarchism and Religion which uses as its starting point the then recent visit of the Pope. The article on the last page which criticises punishment shootings, resulted in threats and accusations of “black propaganda” from INLA members.